In 1993 and 1995 the Rhine delta flooded and devastated surrounding regions, resulting in the evacuation of over 200,000 people and the death of hundreds of farm animals. These floods led to the Dutch Room for the River project which seeks to reduce flooding by expanding the capture of river flow. The project is not only unique for its large scale implementation – with projects in over 30 locations – but also for how it has merged ecological solutions with engineering plans. Rather than building levees or dams, the project has lowered and widened floodplains, widened rivers and created overflow areas to give the river space to cope with extra water. It has protected over 4 million people while improving and preserving river ecosystems. Room for the River shows us how approaches that combine ecosystems and engineering solutions can improve disaster risk reduction. Well-managed ecosystems can serve as cost- effective natural infrastructure that protects people against disasters. For example, mangroves offer coastal protection from erosion, storm surges and in some cases sea level rise, while also safeguarding biodiversity, sequestering carbon and providing livelihoods. However, engineering solutions to reduce disaster risk still primarily focus on building grey infrastructure such as sea walls and dams. “Ecosystems provide services and benefits that engineered structures do not. For example a floodplain forest helps prevent flooding while providing habitat for fish and wildlife as well as cleaning air and filtering water. Beyond flood control, a concrete seawall does not provide these additional benefits and often ends up negatively impacting the environment.” says Dr. Adam Whelchel, Director of Science at The Nature Conservancy. 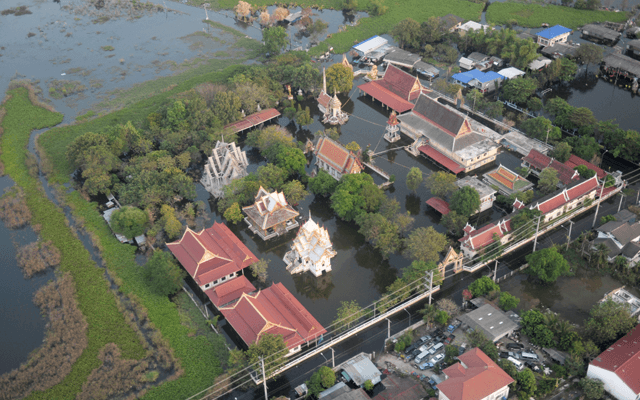 At the same time, ecosystems alone are not enough to manage the natural hazards many of us face today, especially as climate change could increase the frequency and intensity of extreme weather events. Hybrid approaches that combine ecosystems and engineering solutions are often needed. As mentioned above, mangroves provide protection against erosion, storm surges and sometimes sea level rise, however, tsunamis and more intense storm surges can overwhelm mangroves. In these cases, sea walls can act as a second lines of defense. Coastal areas in Vietnam often employ mangroves and sea walls as back up lines of defense. “We need to combine the different elements from engineering and ecology and convince civil engineers that nature based solutions can contribute to disaster risk reduction. If there is a salt marsh providing coastal protection then maybe the solution is to extend the marsh, not build a dike.” says Prof. Iñigo Losada, a civil engineer and director of research at the Environmental Hydraulics Institute (IH Cantabria). We know collaboration between disciplines is critical for long-term sustainable solutions that protect people and the environment, but how do we accelerate and enhance this collaboration? While investment in hybrid approaches may have environmental and economic benefits, there are no concrete guidelines or frameworks that outline how eco-based and engineering solutions can be optimally combined. How can we develop these guidelines? Prof. Losada believes that we need to develop a set of pilot projects around the world that employ hybrid solutions. The results from these pilot projects can be used to build a global framework for how engineers, ecologists and other Eco-DRR experts can work together. So far, existing hybrid approaches have been carried out without a general framework and are mostly based on trial and error on a small and limited scale. More broadly there needs to be a fundamental shift in how engineers and Eco-DRR communities share knowledge and communicate. “We have ecologists that understand ecosystems and engineers that understand engineered structures such as sea walls. In essence they are doing the same things, ecosystems such as mangroves retain and trap water, and so do sea walls. Since we are working towards the same goal, it makes sense to work together to optimize what we are doing,” concludes Dr. Whelchel. Pilot projects are already being implemented that integrate nature and engineering. For example, the Building with Nature program in the Netherlands, led by the EcoShape foundation, conducts case studies and pilot projects on hybrid and soft approaches to water management. “We implement pilot projects in the fields and then we monitor and learn from these projects. We aim to understand ecosystem functioning and how it can integrated into engineering guidelines and realized in existing administrative frameworks,” says Claire Jeukens, program manager at Building with Nature. 2015 marked a new era of sustainable development. The Sendai Framework for Disaster Risk Reduction, the sustainable development goals, and the signing of the Paris agreement, all point towards a global demand for sustainable solutions. Increasingly this means innovative solutions that involve the environment. 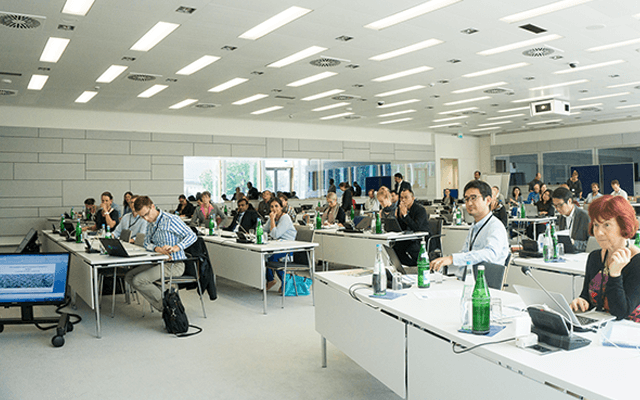 The PEDRR workshop was held on the UN campus in Bonn from the 14-16 of June 2016. The workshop was hosted by the Environmental Vulnerability & Ecosystem Services Section of UNU-EHS and organized with the United Nations Environment Programme (UNEP). Several PEDRR partners, including Wetlands International (WI), The Nature Conservancy (TNC) and International Union for Conservation of Nature and Natural Resources (IUCN), in collaboration with Deborah Brosnan & Associates co-organized the event and with the support of the European Commission is greatly acknowledged.